It was exactly one year ago today that Nate set up the @36Point Twitter account, and told me to use it. That weekend we drove to Fort Smith to help judge the AAF-Fort Smith ADDY show, and documented the travel with regular tweeting. The following week, we decided we’d ask our wonderful show listeners to ask us our take on anything design related via Twitter, and recorded our first Twitter Show (The Reflex Blue Show #26). A year later, we figured it was time again – a whole show talking about what was sent to us just an hour or so before recording. @nick_merritt, @iKitty, and @notoriouslb3 ask – and we answer. For those who like a little more detail on what we cover: view Al’s very cool Haiti poster, check out some vertically-striped socks, turn ahead the clock, witness the return of a ‘hillbilly’, love or hate a serif, view a movie, drool over some crowns, dress like a Skywalker, and listen to Mig Reyes tell you how to be successful. Download The Reflex Blue Show with Nate Voss and Donovan Beery, Season 2 Episode 20 (27 meg) or click here to subscribe to The Reflex Blue Show from the iTunes Music Store. Nate and I really clean out all of the missed news topics of the past month as this one goes all over the place. For some, this may be as close to hanging out with us for a half-hour as you may want to ever get. 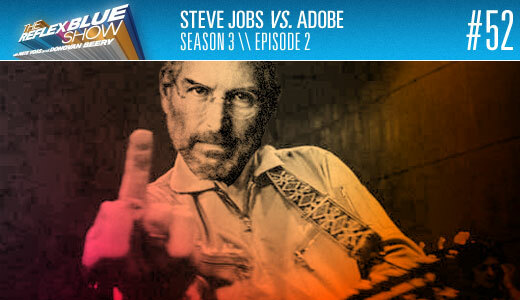 We talk of Steve’s upcoming book release party, the launch of FPO, Debbie Millman taking over as president of AIGA, new Mountain Dew flavors (which causes Nate to start yelling Leroy Jenkins so loud it messed with our recording, causing some file damage and thus that part being removed), and much more. The next few shows will be as live as we get from the HOW Conference, and then back to our regular schedule in a month. 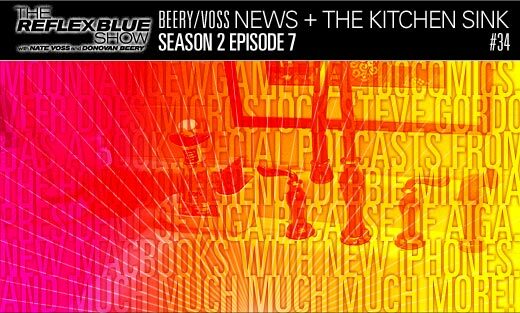 Download The Reflex Blue Show with Nate Voss and Donovan Beery, Season 2 Episode 7 (32 meg) or click here to subscribe to The Reflex Blue Show from the iTunes Music Store.